As of late, much ado has been made about the Southern California music scene. Between Nipsey Hussle’s $100 physical copies of “Crenshaw” and Kendrick Lamar’s “Control” verse, Southern California artists have remained a part of Hip Hop’s top stories this year. While South Central and Compton, (stomping grounds of Nipsey and Kendrick respectively) continue to sprout artists left and right, within Los Angeles County, another city, Inglewood, hasn’t been heard from for a little while. As a smaller city, Inglewood deals with a lot of the same issues its bordering neighborhood of South Central Los Angeles faces; however, it also contains several independent, black-owned businesses. From this environment comes Skeme. 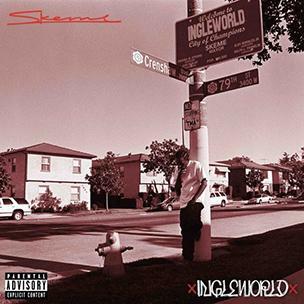 While Skeme is no newcomer, with Ingleworld, he leaves his stamp on the West Coast scene that is now watched a lot closer by the rest of the Hip Hop world. Ingleworld’s consistency and avoidance of formulaic approaches makes for an overall solid project. Throughout Ingleworld, Skeme displays several styles of flows and rhyme cadences. On “No Time” it’s slower, with a more serious tone, but slick jabs are still present. 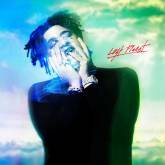 While on “Our Way” he brings the bouncy, Southern-influenced flow his longtime fans are used to. While the tone overall throughout Ingleworld is pretty serious, the change up for “High Level” (featuring Iggy Azalea) and “Oversick” keep the album from dragging. The faster yet not quite double-time flow and wordplay on the latter show what Skeme is capable of as far as straight rhyming. Skeme’s overall songwriting ability has improved, so while he can still make songs like the previously mentioned “Oversick,” songs like “Ain’t Perfect” (with its catchy yet unforced hook) add to the repertoire of an already diverse, unique emcee. The highlights of Ingleworld come consecutively near the close of the project, with “Million Dollar Meetings,” “WhatYoLifeLike? 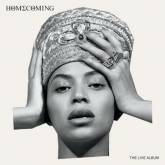 !” and the bonus song, “Thankful.” While the tone of the whole album remains pretty serious, the closing three tracks probably feature the most heartfelt lyrics. It’s a fitting way to end, as Ingleworld as a whole rarely ever reaches for lanes it can’t exist in. While the “I did this for myself and people like me” theme has become cliché due to the combination of its misuse and overuse, the lack of overreaching allows that ideal to fit this project perfectly. 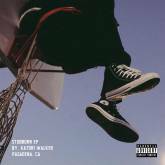 Solid production, combined with Skeme’s overall excellent and varied delivery, and lyrics that are solid without an over reliance on clichéd punchlines make for a solid project from Inglewood’s latest representative.